And a Chicken in Every Pot . . .
Massachusetts on Monday proposed that all Americans be required to have health insurance by 2012, and that the government should take steps to make sure anyone uninsured at that point receives coverage. Kerry, a potential presidential contender in 2008, unveiled a health care plan that would cover every child in America, give Americans access to the same type of health care members of Congress receive and lower costs for employers. "But if we're not there by 2012, we will require that all Americans have health insurance, with the federal government guaranteeing they have the means to pay for it," Kerry said. Many of us have some sort of disability plan, whether on our own or through our employers (although there are a lot of folks who don’t, but that’s another post). Such plans are valuable: during our working years, we’re more likely to become disabled for a while than to die. Disability insurance can (help us to) pay our mortgage and utility bills, car payments and the kids’ college tuition. There are even tax benefits, depending on how one structures the plan. One thing this remarkable product can’t do, though, is help us save for retirement. Well, let’s think about it, shall we? If I’m contributing to my 401(k) (or other qualified plan), I’m doing so with my earned income. But what if, because I’m disabled, I’m not earning any income? Even if I could afford to do so (and how many disabled folks are? ), I’m not allowed to contribute to my plan until and unless I’m back to work. But time marches on, and with it, the opportunity to sock away dollars for my retirement. Generally, we don’t endorse or promote specific companies or products here: we’re idea- and solution-oriented. But recently, I learned that one of my carriers has developed a remarkable, and unique, new product that goes a long way toward solving the problem of retirement vs disability. Called RetireGuard, it’s offered by MassMutual (of course, if and/or when I learn of other, similar products, I’ll update this post). Briefly, it’s a disability plan that serves one purpose: to help fund retirement if one becomes disabled. For example, let’s take that ubiquitous 35 year old. Annie began contributing $400 from each (biweekly) paycheck. She did so in order to maximize her employer’s matching program, and because she feels it’s important. Currently, she’s earning 8 percent on her investment choices. But what happens when she’s hit by a drunk driver, or has a stroke, or suffers a skiing accident? If she’s like most of us, she has no way of continuing those contributions, so she ends up with a little over $400,000 on her 65th birthday. Not exactly a pauper, granted, but not “sitting pretty,” either. With this new insurance plan, however, she’d have $1.15 million for her retirement (about 97% of what she’d anticipated). Good deal. (Caveat: we’re plugging in arbitrary returns here, YMMV). Now, is this the perfect solution? Well, no: nothing is “perfect.” It may be that her anticipated premiums don’t fit her budget. Or, that she has other investments that would take up the slack. But for a lot of folks, this might be a great way to ensure that our retirement plans aren't totally derailed. This week's Carnival of Personal Finance is now available at All Financial Matters. Host JLP presents over 40 entries, helpfully organized into a handy spreadsheet format. Very cool. This post from the LA Money Guy is amusing, just the thing for a Monday morning. Here's a hint: Which way's sporting goods? And Anita Campbell, hostess of Selling to Small Business, has posted this week's Carnival of the Capitalists. With ovwer 50 entries, this is a big 'un. Thankfully, she's included brief summaries of each post, as well. We've all heard about those 7 habits of *successful* folks. Well, Peter Kua (of Radical Hop) warns us about the habits of *unsuccessful* ones. Ouch. We conclude our interview with Aetna's Medical Director, and learn about a unique model of price transparency. So I had an appointment yesterday [ed: just the one?] with a potential new client. It’s a very small tool-and-die shop, with 5 employees (including the owner), but only one or two who’d be taking the medical coverage. Group carriers don’t much like cases such as this, and there were some other factors, so we were looking at a couple of individual medical plans: a “traditional” PPO plan, and an HSA (Health Savings Account) plan. The owner had asked for a lot of info to be faxed and/or emailed over ahead of time. I usually try to avoid this; not because I have anything to hide, but all the material, with no context, actually confuses more than clarifies. Still, the client is (almost) always right, so fax and email I did. I always ask a lot of questions, one of which being how much of the premium the employer intends to shoulder. In this case, he wanted to pay the whole amount, and we discussed several options. Among other things, I suggested that he consult his accountant to see if a Section 105 plan might be useful in this instance. When I arrived, it quickly became apparent that this was going to be a colossal waste of time (theirs and mine): the employer who had been so adamant about having that material ahead of time had barely glanced at it, and one of the two employees to be covered wasn’t available. Still, I’d made the drive, so why not. As we began to talk about their needs, it became evident that they really wanted to see the quotes. They had quotes from two other agents (I knew this ahead of time, so I only ran numbers for carriers from which they had no quotes already). The problem that developed was that at least one of the other agents had misinformed them about how insurance works (or, equally likely, they had misunderstood). So when I explained how their renewal rates really had nothing to do with their own claims, and that companies couldn’t arbitrarily cancel them (having explained the difference between owning a policy versus association plans), and why quotes are, essentially, meaningless at this stage, I could see that they were confused, and uncomfortable. All three of us were telling this client different, and mutually exclusive, things (or, again, they misunderstood one or more of us). And so it came down to credibility, and a simple question: why should they trust me? I offered to give them referrals to other clients; they declined, because of course I’d only give them my best ones. I explained that, as a CE (Continuing Education) provider and instructor, I teach other agents about this very subject. “So?” Finally, I reiterated for them all the various ideas I’d brought to the table (e.g. HSA, 105, etc), which none of the other agents had suggested. And still, they just couldn’t, or wouldn’t, make up their minds.About halfway through, I learned something else: one of these employees is covered under his wife’s group plan, and her employer pays 90% of the family premium. Why then, I asked, are we even talking about this? Turns out, my prospective new client would be paying 100% of the employee’s premium, and they both thought it would be a good idea to have both plans in place. Turns out, they think that having two plans in place will mean that the second plan will pay the balance of what the first one doesn’t, giving this gentleman 100% coverage. It was then my sad duty to explain to them how COB (Coordination of Benefits) really works, and to disabuse them of the notion. But, I added, why not have the employer buy an individual disability plan, instead, to help put food on the table in case there is a terrible medical situation. They seemed to like this idea, and one would think that it would have convinced them of my expertise, and interest. Sadly, it didn’t appear to. And so I bid them farewell, and invited them to call me if I can be of further assistance. I’ll let you know if they do so. There are a number of lessons here. First, quite frankly, it’s not financially beneficial to me to spend much more time with these folks. Generally, I try to develop customers into clients, and build a more permanent business relationship than just one or two individual medical plans. That doesn’t appear likely, at least not at this point. Second, I have to wonder if there’s some magical number of agents and/or quotes that a given client really needs in order to make a sound decision. Since all of us have access to basically the same carriers, and all of our quotes from a given carrier will be identical, how does the client differentiate between agents, and how does he know which one(s) to trust, and which one(s) not to? Finally, it also shows that sometimes more isn’t better: these folks have a surplus of quotes, brochures and charts, and they can’t decide what to do. Oh, one last thing: in discussing the HSA, the question of exclusions came up. I explained that brochures, by nature, have limited information about these kinds of things, but that the policy will include every detail. And then I stopped, and corrected myself: for the first time, I explained to a potential client that the policy does not, in fact, spell out every relevant detail. Neither the brochure nor the policy will warn them that non-covered expenses will be excluded from network discounts. Not quite a happy ending. This week's Health Wonk Review may be found at Medical Connectivity Consulting. Tim, our host, has done a great job with the more than a dozen submissions. It's obvious that he's not only read each one, but taken the time to peruse each blog, as well. A while back, Bob blogged on the phenomenon of Nurse Practitioners. Well, at this week's HWR, Jason at the Health Care Economist takes a look at some of the literature, and concludes that NP's are a "good thing." The new Massachusetts health plan, the first in the U.S. requiring all residents to have medical insurance, won the approval of the federal government, helping to ensure medical coverage for the state's poorest citizens. U.S. Health and Human Services Secretary Michael Leavitt today signed a waiver that will allow Massachusetts to receive $385 million in federal funding to help pay for the care of the poor and enable low-income workers to purchase insurance. It is my money, not theirs. Add the Cows, Subtract the Tractor . . . Dirty Secrets II, the Saga Continues . . .
Part One exposed things carriers do not want you to know about your rights under an insurance policy. We have concentrated on the HDHP (High Deductible Plans), but this issue really extends to all health insurance policies with a network component. Well, almost all: as Joe Paduda has pointed out (and Bob has confirmed with his own TPA), self-funded plans often include a provision which extends network pricing to non-covered expenses. This makes sense, of course, since a self-funded plan can cover pretty much anything the employer chooses. Benefits which are excluded by contract are not necessarily going to receive favorable pricing. "Not necessarily," because the marketing literature, and the policy itself, is mute on this point. Sadly, it seems many company reps and even those in higher positions in the carrier are unwilling, or unable to address this issue. Or maybe they just don’t know the answer . . .
At least one carrier has said the re-priced fee is made available but the provider is not obligated to accept the lower fee as payment in full and may in fact balance bill the patient. ■ Your annual GYN exams are a covered item and are re-priced. Your pre-natal & delivery charges are not a covered item and are not subject to repricing, even when it’s the same doctor. ■ You are eligible for coverage and repricing on corrective cosmetic surgery as would follow a mastectomy. You are not covered for, or eligible for repricing on breast augmentation surgery, even when it’s the same doctor. ■ You are eligible for coverage and repricing for well check up or even a sick visit . . . as long as it is not for treatment or follow up of a condition excluded by contract such as hypertension or hyperlipidemia. If the visit is prompted by a condition that is excluded by contract there is no repricing, even when it’s the same doctor. Until the carriers are willing to step up to the plate the most logical solution is for the insured to purchase a separate PPO discount membership completely independent of the health insurance policy. Many carriers use the PHCS network as their PPO of choice. The access fee -- which allows you as an insured to use their providers and receive lower, re-priced charges -- is INCLUDED in your health insurance premium. You can also purchase access to the PHCS network completely independent of your insurance policy through companies such as Careington. For $25 per month you can have access to the same providers (and more) as are available under your insurance plan. Your policy ID card bears the PHCS logo, as does your discount medical card. One will allow you to benefit from repricing on some claims, the other will allow the re-priced benefits on ALL claims. MORE: Joe Paduda examines Why This Matters. Kudos to Humana! I received a phone call from my Humana contact, who had graciously taken the time, and made the effort, to track down the corporate reasoning behind the HSA discount/non-discount issue. "It's contractual. That is, Humana [ed: and, presumably, the other carriers] contract with providers on behalf of their insureds. As part of the negotiations, the carriers agree to re-price only those services which are covered under the contract. This is to help the providers recoup some of their income losses on the re-priced claims. The principle is that it's only fair that if the carrier's not paying for a given service, the provider shouldn't have to, either (in the form of a discount)." We'll have our own response to this shortly. This week's Grand Rounds, hosted by Giskin at Medical Humanities, is a delight and a joy to behold. Presented as a garden, each category is a different metaphor (e.g. a flower garden, a potting shed, etc), so each post is visually interesting as well. Each entry has its own, sometimes extensive, explanation, so it's easy to tell what that post is all about. Good news for us java-lovers: according to Straight From the Doc, coffee has earned itself a spot on our fabled new food pyramid. Apparently, it can even help lower the risk of diabetes 9although I presume that's only if one skips the 2nd and 3rd teaspoons of sugar). What Would We Do Without (Medical) Experts? This study, a follow up to one done seven years ago, also puts forth some proposals to help reduce the frequency (let alone severity) of these problems. Some of these are as simple as more effective medication monitoring, as well as procedures to mitigate accidental injury (according to the study, there are three quarters of a million medication-related injuries in nursing homes, for example). ■ One is unexpected drug interactions. ■ Patients not understanding how to take the drugs. And, of course, providers don’t shoulder 100% of the blame: patients share in that, as well: by withholding information about other med’s and treatments, neglecting to mention that ER visit the other week, that kind of thing. In theory, electronic prescribing, which is still in the embryonic stage, is expected to help alleviate some of the problems. But there’s still a lot of potential for human error. It is axiomatic that the goal of insurance carriers (of any business, really) is to make money, and there’s nothing wrong with that. The challenge is how to do this in a way that maximizes profit, but minimizes pain. 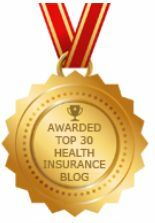 Regular readers know that Bob and I are proponents of, and believers in, Consumer Driven Health Care (CDHC), and especially High Deductible Health Plans (HDHP’s). The idea behind these plans is that one chooses a very high deductible, which (theoretically) generates a lower premium, and that one uses some of those savings to pay for the small, routine claims. HDHP’s (usually) include access to a network of providers, who offer reduced rates for services rendered. Since these services are usually paid for by the insured, this can represent a significant additional savings. And, because they cost less, folks are more apt to use network providers, driving up their revenue. A win-win situation. The purpose of this Special Report is to expose what Joe Paduda calls CDHC’s “ugly secret.” Turns out, only some of these in-network services actually get the discounted (reduced) rates. That is, only “covered” services are eligible; if you own an HDHP, and receive non-covered services, even in-network, you pay full freight. What happens below the deductible for HDHP’s has been widely, and sometimes wildly, debated. I won’t bother to rehash ALL the issues but one that seems to keep cropping up, without resolution, is in the area of “discounted” provider charges under the deductible (or, as we call it, the SIR – Self Insured Retention). I say “discounted” in quotes because there really are no discounts. Rather, the provider has agreed, by contract, to accept a pre-negotiated rate as payment in full for services rendered. Simply put, if the bill is $100, the provider has agreed (in writing) to accept payment of $70 for services, and will not balance bill. MCO’s (managed care organizations, aka PPO networks) negotiate directly with providers by promising patient volume and prompt payment. In return, the provider (doctor, hospital, etc) agrees to accept the lower, negotiated fee structure. Once the PPO contract is in place, the MCO then provides access to these preferred providers (for a fee). This fee is billed to the carrier, which in turn builds that fee into the premiums charged. Policyholders now have the same rights to access the negotiated fee structure. Herein lies the rub . . . at least according to some of us. My contention is this. The policyholder is paying the access fee as part of their premium, therefore the policyholder is entitled to discounts on ALL services received in-network. However some carriers view it differently. The carrier view seems to be that the policyholder is only entitled to the negotiated fee structure IF the service is a covered item under the policy. If for example, the policy does not allow for maternity benefits then there would be no discounts when a policyholder requires pre-natal or delivery charges. However, most states REQUIRE coverage for complications of maternity, in which case services by a par provider WOULD be discounted. ■ Extra-contractual procedures such as cosmetic surgery, drug & alcohol treatment, psychiatric services, TMJ or other dental surgical procedures. I believe that, since the access fee has been paid, then all services provided for in the PPO contract should be available to the policyholder. This debate was reopened when Joe Paduda made this post on the fine print that isn’t there. This started a journey all over again. When we receive a claim we always run it through to get the discounted rate for using in-network providers. It is up to that provider to honor the discounted rate if the claim was for an expense not covered under the plan. Example would be maternity claims. As you know maternity is not a covered expense in GA as there is not a rider available. If the Dr sent in a claim UHC would process it to get the discount. When the bill goes back to the Dr. they have the option then of requiring the full amount or working it out w/ the patient to honor the discounted price. On non covered expenses or excluded conditions I have been told by claims that it is up to the Dr if they want to honor the discount rate given by UHC. On covered expenses the discounted rate will always be the amount that an insured is expected to pay under our U&C policy. Hank contacted other carriers, who all confirmed that they applied the same principle. Why would a carrier do this? A couple of Joe’s commenters apparently believe that, if insureds pay the higher rate, they’re “going to pierce their deductible layer much faster, thereby incurring claims expense and costing the health plan money.” Interesting and provocative theory, but unsupportable. By definition, non-covered expenses do not count toward the deductible, nor do they apply to the annual out-of-pocket maximum. From the carrier’s point of view, such expenses never happened. Given all these arguments against this practice, why would carriers continue to implement it? For that, we had to go to the source. Care to guess the response? Inexplicably, we've received no answers from any of the more than half dozen carriers we contacted. Feel free to draw your own conclusions. UPDATE: We've received a carrier response. UPDATE II: Broken, Part 2. The Carnival of Personal Finance is up at Savvy Saver. Our intrepid host had his homework eaten by his dog, er, blog: "Blogger lost the original Carnival post that I put together last night, so I had to scramble this morning to re-do it." Ouch! In the event, he still managed to put up 46 posts, which is terrific. I haven't sold variable products in a number of years (by choice), so I found this post about variable annuities to be fairly well balanced (if a bit simplistic). Still, Thomas at Investor Geeks does a solid job. And this week's Carnival of the Capitalists is hosted by Names At work. Antony has done an outstanding job of organizing the 45 posts, and added helpful commentary to each one. I was very flattered that he included our post in his "Top Five." I have to agree, though, that his Number 1 post belongs in that spot: posted at Business Pundit, it's a true story, with an unexpected twist, and which raises some important ethical questions. Do Doctors Accept NoName Health Insurance Company? One thing that always get's me is when prospective clients offer questions about a carrier. Not the usual things like, "How often do carriers like this go bankrupt?" Or even something like "What is their rating with the Better Business Bureau?". Carriers are not rated by the B.B.B., ma'm. But when they say something like, "I have never heard of this company and my doctor probably won't accept them". Yeah, right. Like I have nothing better to do than go around recommending companies that don't pay claims, and doctor's never heard of, just so I can spend the rest of the year answering subpeona's from attorneys and irate phone calls from clients. All of the plans I use are tied to PPO or HMO contracts. Any provider that has signed a PPO or HMO contract is obligated to accept payment from the carrier as "in full" and will not balance bill the patient for covered services. The same person who said they never heard of NoName Insurance goes and buys some junk from a rookie who was changing tires at a Wal-Mart last month. They buy a plan that has no deductibles, no waiting period and no limit on stupidity. It is called a medical discount plan and . . . here is the kicker . . . most doc's will not accept the card unless you pay cash up front. This week's column, at The Medical Blog Network, includes an interview with the director of Aetna's price transparency program. The Grand Canyon State has a nifty idea: a $1 million jackpot to one lucky voter. That’s right, “(i)f Arizona voters pass the Voter Reward Act in November... one lucky voter [will win] $1 million just for casting a ballot." So what does that have to do with health care? (B)rachytherapy, which carries fewer side effects than a surgical operation and is less invasive than the alternative, a radical prostatectomy” is being made available to a select few Englishmen. It’s a little complicated, but apparently the NHS (Britain’s National Health Service) will approve only a select few to receive this potentially life-saving treatment. You can have it cheap, you can have it fast, you can have it good. Pick any two. What is your amount at risk on a particular claim? Most of the plans I write for clients have an at risk amount of $150 or less on accidents and anywhere from $3000 - $5000 on illness. So what is at risk when it comes to health insurance? Your monthly premium is an amount at risk. The amount is a known entity from month to month (at least until renewal) but is a factor in calculating your at risk amount. Add to that your outlay for copays and deductibles. Some plans have a separate deductible for Rx vs. major medical. Most plans have a family limit on number of deductibles that must be satisfied. Add in your out of pocket (stop loss) limit under the coinsurance clause. Again, many plans will have a family stop loss limit. Add in your out of pocket for items excluded under your policy and for charges by non-par providers. This is also known as hidden provider charges. Sum it all up and you have your at risk amount for the year. Some things are relatively easy to calculate for an at risk total. Your monthly premium is simple. The number of trips to the doctor or your medication may be a bit more of a challenge. Figure the routine medical charges as just that . . . routine and something you can manage financially. Look instead at the worst case scenario by adding your premium to the deductible and stop loss limit. As an example, a family of four can choose a low deductible plan and pay about $500 per month in premium. Their at risk for any one family member is limited to $1000 per year with deductibles & stop loss. Total at risk is $7,000 ($6000 in premium + $1000 at risk on a major claim). Same family, higher deductible. This time the premium is $280 per month and the amount at risk on a large claim is $2500. The total at risk for the year is $5860 ($3360 in premium + $2500 on any single claim). At risk amount is similar but by rebalancing the risk premium against the amount at risk the client saves almost $1200 per year in a “bad” claim year and around $2600 in a “good” claim year. If you don’t know how much is at risk you are in danger of having financial and credit issues. If you have not balanced your at risk amount with the premium paid you are probably paying too much for coverage. It's kinda nice, being out here ahead of the curve. Sometimes, though, it's helpful to catch up on unfinished business. ■ We've blogged (extensively) on the implications of Maryland's recent "Wal-Mart Bill." But is it DOA? Apparently so (H/T: John F). As a result of legislation and regulatory declarations, Banner Life will not factor past or future foreign travel into the risk selection process on applications signed in California, Colorado, Florida, Georgia or Washington state. Banner will also not factor in past foreign travel, but will consider planned future foreign travel on applications signed in Illinois and Maryland. Foreign travel risks on applications signed in other states will be priced in accordance with Banner's normal underwriting practices. The legislative atmosphere remains fluid. Several other states are considering legislation that could have further impact on the above lists. Our wandering host, Chris of MedBill Manager, has done a great job, with 20 submissions (our biggest yet!). Better still, most have running commentary from Chris, building on the post itself. I especially liked Brad's post, over at The Unrepentant Individual, about putting risk, and risky behavior, in context. Herein lies the problem with treating a long term issue with a short term fix. Student insurance, like other short term medical plans, can be woefully inadequate in some cases. Saving a few dollars on student plans can cost much more than expected when a medical crisis hits. A human egg, around $7,000. Bone marrow, about $23,000 per gram. ChronicBabe hosts this week's edition of Grand Rounds. She's collected 40 posts, all with the (general) theme of women in medicine. Even better, they're sorted into categories and each post includes a (sometimes snarky, sometimes silly, always helpful) summary. Pardon the preaching, but I think that this post, about new recommendations about heart attack screening, is important. Jake Young at Pure Pedantry has the scoop. 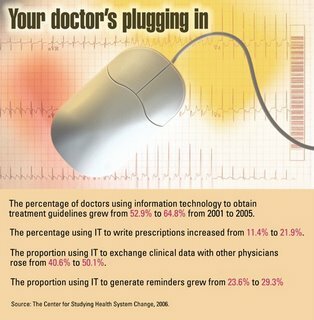 EMR (Electronic Medical Records) is a hot topic these days. HIPAA has some EMR mandates that are coming on-line [ed: ugh! now that's a bad pun], and, of course, there are economic benefits, as well. 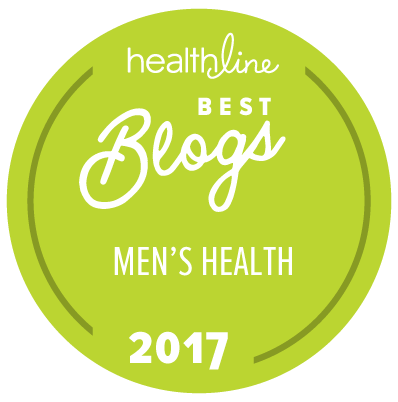 Dr Rob Lambert has more on this over at The Medical Blog Network. As a practicing physician himself, he has a unique - and helpful - perspective on the issue. The Carnival of the Capitalists is up, presented by AnyLetter. Our intrepid host, Andrew, fought a bout with bronchitis to bring it to us...now that's dedication. This post, at Mine That Data, has an interesting tool that one can use to prove that old adage that it's cheaper to keep a current customer than procure a new one. And this week's Carnival of Personal Finance is up at Just Another Money Blog. With over 40 posts, you're sure to find (at least) one to like. For example: My Financial Awareness examines how the ancient concept of tithing works in our "modern world." The latest column is up at The Medical Blog Network. This week, we begin our examination of price transparency in health care. Got a Few Problems With This . . .
Because both regulations and mandates are made on a state-by-state basis, the cost of insurance varies widely. For example, California is a large state with a fairly competitive insurance market. A 25-year-old male from Northern California perusing the Web site of the nation's largest independent agent can choose from 84 different plans. These plans range in price from $468 per year ($4,000 deductible, no co-insurance) to $2,952 per year (HMO with $0 deductible, no co-insurance and $25 office visits). A 25-year-old male living in Kentucky could get an individual insurance policy for $960 per year. That same male, were he a resident of New Jersey, could expect to pay $5,880 per year for similar coverage. Kansas would price the policy at $1,548, and New York state would rate it at $5,172. 1) Consumers find it almost impossible to pick the right plan when shopping in their back yard. Here in GA the top 8 carriers offer over 1800 plans & variations. How will consumers pick from possibly 100,000 or more combinations? 2) The cost of care in TX may be higher or lower than similar care in GA. Since claims determine premiums there is a good chance that once price differences are factored in the "savings" may no longer exist. 3) Large numbers of insureds does create economies of scale which can lower administrative costs. But admin fees are usually 15% of the total premium or less. If you shave 5% off admin is the net savings enough to warrant making a change. 4) Large groups such as those proposed COULD offer coverage on a guaranteed issue (no health questions) basis if they like. They could also offer full coverage for pre-ex conditions. If so this will virtually guarantee the pricing will be more than fully underwritten individual coverage. The Health Care Economist hosts the newest edition of the HWR. Jason has an interesting take on HWR: he's essentially made the compendium of posts a sort of debate about health care costs versus health care quality. It's really unique, and thought-provoking. Joe Paduda (the "father" of HWR) takes a look at how hospitals are rated, and whether rankings are really such a good idea, after all. ■ Mass businesses can avoid the $295 fine...er, uh, "fee" if at least 25% of their full-time workers are enrolled in their health plan, or if the company contributes at least 33% of the premium cost. That's actually a lower percentage than what most employers pay now [ed: oops!]. ■ On the other hand, employers won't be allowed to count employees receiving health insurance from other sources (e.g. through their spouse's employer or government programs). ■ And, the "fee" requirement applies to businesses with more than 10 full-time workers. ■ Massachusetts' Division of Health Care Finance and Policy is projecting that the "fee" will affect about 8% of the state's 35,000 eligible companies (which represents less than 2% of all Massachusetts' employers). They're hoping to raise about $26 million, which they plan to use to subsidize health insurance for low-income individuals. Under this new proposal, employers would have to inform the state about whether their workers were offered employer-sponsored health insurance and whether each employee accepted or declined. Workers who decline the employer's offer and don't have alternative coverage will be required to file a form acknowledging responsibility for medical care. It's not clear whether this will relieve the employer of the $295 "fee." Harry & Hillary . . .
We have blogged before on the high cost of treating certain illness. Here is another report that drives home the point. Patients without insurance who do not qualify for Medicaid or Medicare are less than half as likely as patients with private insurance to undergo treatment for hepatitis C. Patients reliant upon Medicaid or Medicare are also less likely to undergo treatment than patients with private health insurance. Hepatitis C is caused by a virus that attacks the liver. You are at risk for Hepatitis C if any of the following situations affect you. "Clinicians with a low hepatitis C patient load appear to be undertreating the disease," said Mary Fletcher-Louis, analyst at Decision Resources. "Clinicians who have a high hepatitis C case load (more than 50 patients per month) say they treat 52% of hepatitis C patients at the time of initial diagnosis. The corresponding estimate by clinicians with a lower case load is only 40% of patients." TC, host of the provocatively named Donorcycle blog, presents this week's Grand Rounds. Divvied up into interesting and helpful categories, almost every one has notes on context and content. Medical Connectivity has some real concerns about how more of your private health info is available (and vulnerable?) than you might have thought. Lowering premiums by reducing state mandates which means fewer claims will be paid under the plan. At least they understand the only way to legitimately lower the cost of health insurance. Of course this does nothing to lower the cost of health CARE. Another piece of the legislative package creates a reinsurance fund that would subsidize health insurance premiums for firms whose average pay is below a certain amount. Sounds great. How will they pull this rabbit out? This subsidy is dependent upon creation of a financing source, which lawmakers have yet to address. According to actuarial consultant firm Milliman, average medical expenses for a family of four rose by 9.6% last year. Interestingly, this tracked with average annual increases for the past 4 years, as well. Milliman expects that these rates will stay in the 9 to 10% range for the foreseeable future. What surprised me the most (aside from the relatively low rx number), was that the greatest rate of inflation was in- and out-patient expenses. Counterintuitively [ed: ooooh! a $3 word! ], the rise in pharma costs slowed significantly. Bob Cosway, one of Milliman's consulting actuaries, averred that "There have been more and more drugs going off patent, and more therapeutic classes have good generic drugs available. We think many of those market forces will continue for pharmacy." He also indicated that technology, new drugs and managed care policies have allowed more medical problems to be handled with outpatient services and medications, rather than the more expensive inpatient care. The report (which you can read here) also shows that the different components are trending at different rates. Rx costs, for example, increased almost 13% between 2004 and 2005, while hospital services (inpatient and outpatient) as well as physician costs grew at rates of about 8%. Of course, this will have an impact on health insurance costs; it's not just greedy insurance companies looking to increase market share and profitability. First out of the gates this morning is the Carnival of Personal Finance, presented this week by The Real Returns blog. Almost 60 posts grace this week's edition, along with helpful summaries. We've blogged on Identity Theft before; this post, from Dogberry Patch (another candidate for cool blog name) questions whether it's really such a big deal. And the Carnival of The Capitalists is now up, hosted by Fat Pitch Financials. Over 50 posts are presented, in a unique (and useful) "table" format, which can be sorted by site, category, and title. Very cool. Joe Kristan, of Roth & Co fame, posts this infuriating story about the gummint taxing a business...in order to subsidize its primary competitor. Infuriating, but enlightening. Some Ohio families struggling with mental illness are discovering that health insurance doesn't pay nearly as much to cover their bills as it would for physical ailments. In Ohio, insurance companies usually cover no more than 20 mental health visits and 10 hospital days a year for hundreds of thousands of families. The maximum coverage for general health is typically $1 million over a lifetime, compared to $10,000 for mental health. This is not unique to Ohio. Most health plans place restrictions on coverage for DAMN (drug, alcohol, mental, nervous) coverage. Mental health treatment can be expensive. Many times there is no cure and no way to measure progress. Sometimes there are abuses of the system by providers who will treat up to the point where insurance runs out and then announce the patient is better. Some Ohio lawmakers have tried to prevent insurers from restricting coverage for mental health. In 35 states, insurers are required to cover mental illnesses the same as physical ones. There is also a federal law, the Mental Health Parity Act (1996) but this law only applies in certain situations. MHPA applies to most group health plans with more than 50 workers. MHPA does NOT apply to group health plans sponsored by employers with fewer than 51 workers. MHPA also does NOT apply to health insurance coverage in the individual market. There is no question that premiums would have to rise to cover this additional liability. Just as HIPAA has created an undue burden on small employer group plans, expanding the MHPA to small employer plans and individual coverage could cripple an already pricey plan. The state's top insurance regulator in charge of consumer protection believes that the market, not government, will solve the nation's health care crisis. Instead of overregulating insurers, he trusts in letting new products flourish and, in turn, disclosing risk and rewards to consumers. Not surprisingly, he's a fan of high-deductible health plans and mandate-light insurance policies that give consumers greater flexibility to shop for the benefits and services they want. Less government intervention, what a remarkable idea. Of course there are no guarantees government will make the best decision. The same can be said for employer choices. Finally, SOMEONE get’s it right. This week's column is up at The Medical Blog Network. We answer reader mail, and set a commenter straight. It's a bill Leslee Botello wasn't expecting: $7,000 to treat her son's broken knuckle at Lehigh Regional Medical Center's emergency room. Botello has insurance and was told it would cover the hospital visit because the hospital was part of her insurer's medical-care network. While Botello's son was at the hospital for less than three hours in late April, the total bill exceeded $21,000. Her portion of that, after insurance kicked in their share of costs, was $7,000. As hospitals seek to lower their cost of providing emergency care they frequently contract with independent doctors to provide treatment rather than using staff physicians. Many will also use off-premises contract radiologists in other countries to read the X-ray or MRI. These non-par providers are free to charge whatever they wish while the insurance contract will only pay reasonable & customary. Many times the gap between what the carrier pays and the providers charge is 30% or more of the bill. The real oddity in this story follows. "Most of our programs are geared toward the uninsured. We don't (typically) discount for insured patients," said Billie Jo Debolt, system director for business services at Lee Memorial Hospital. "But, we do have some programs, like our prompt payment discount. If the bill is paid in full within 30 days, it can be 30 percent of the balance. We have sliding-scale discounts based on a person's income. If a person falls within 300 percent of federal poverty guidelines, they may be entitled to a 40 percent discount. If they fall within 400 percent, there may be a 30 percent discount." For those with no insurance, full charity care is available, providing the patient falls within federal poverty guidelines. People who are uninsured receive a better break than those WITH insurance. Here is another interesting fact. Many times you can enroll in Medicaid AFTER you have incurred charges and have your bill covered retroactively. So where is the incentive to take personal responsibility? As you may recall, FoIB Chris Parks has been working on a powerful, free, useful, no cost to the consumer, innovative and free on-line tool that will help reign in the out-of-pocket cost of healthcare. Well, it seems that Chris almost had need of some ICU-type healthcare when he read that the 800# gorilla that is Google seemed to be poaching on his territory. Never fear, though, our intrepid hero eventually came to realize that, rather than competing with his new project, Google was, in fact, reinforcing the need (and desirability) of it. If there's an ailment, there's an ad for a prescription drug aimed at fighting it – from toe fungus to impotence. Prescription drug advertising has swelled to a $4.8 billion industry since the U.S. Food and Drug Administration relaxed its restrictions on the ads in 1997, allowing for descriptions of the drugs' purpose. Many doctors say the ads are coming so fast that they don't have time to learn about the benefits and risks of a new drug before patients start requesting prescriptions. Thanks to the internet, patients are not only diagnosing their ills but come prepared to prescribe the treatment. All the doc has to do is collect the $20 copay and write out the script. Dr. Melvyn Sterling, an internist who practices in Orange, attended the medical association meetings that led to the policy changes. He said people should consider the source when reading or watching drug ads. I am shocked! Next we will be hearing all those car commercials are not about educating us on safety but rather to sell cars. Unfortunately, too many people don’t want alternatives; they want the latest and greatest . . . especially when it only costs a $30 copay. "The ads sometimes are for very expensive drugs when there are much less expensive drugs available that the patient should try first … A lot of patients are looking for that magic pill. " And magic is nothing more than illusion. I have received a reply from my correspondent, explaining the circumstances and issues. Turns out, an application for health insurance was recently turned down because of discrepancies between the app and the medical records. Apparently, the applicant’s physician had included several health-related problems in the records, none of which were applicable. Some of these were quite serious (COPD, for example, and hypertension). All told, there were 10 such discrepancies [ed: no wonder the app was declined!]. So, after reviewing all the “problems,” my e-friend met with the doctor, discussed all the items, and agreed that they needed to be corrected. Subsequently, the doctor documented this for his patient, and this letter was forwarded to the insurer. At this point, no word has been received from the carrier as to whether or not this will affect its earlier verdict. But that’s not the end of it. My e-friend is concerned that the declination has been reported to the afore-mentioned MIB, and will become a permanent source of problems for future insurance applications. For now, COBRA is in place, so there is at least a safety-net in place during this process. Okay, so what’s my role in this? Along with Bob, I spend some time each day helping folks at an insurance-related consumer bulletin board. My e-friend read some of my posts, and thought that I might be of help straightening out this mess, or at least supplying helpful directions. I explained that the MIB has an appeals/corrections process, which consists of writing them a letter and waiting for a reply. I suggested that such a letter be sent, along with a notarized list of corrections provided by the doc. I also suggested a follow-up phone call, and posited that this will not be a speedy process. Lastly, I suggested that the whole bundle be sent in such a way that it could be tracked, and with a way to confirm delivery (signature, etc). The next piece of advice was to avoid the initial carrier altogether (for a number of reasons, none of them really relevant here), and to seek the counsel of a professional, independent agent with a minimum of 5 years experience in the health insurance field. Since I have the privilege of knowing quite a few “good guys” all around this great land of ours, I offered to help find one if necessary. Finally, I suggested that it’s not always necessary (or even desirable) to keep an entire family on one’s COBRA. Sometimes, it’s better to “spin off” other family members to a separate policy. Again, a pro will be able to help determine this. At the very least, this is an interesting experience. It’s nice to be able to help out, and it’s also nice to have the opportunity to learn more about agencies like the MIB. In fact, Bob sent me a gaggle of links on this subject, which I’m starting to go through even now. As my correspondent has promised to keep me posted on any progress, I’ll pledge the same to you. UPDATE: Have you ever heard the term "Common Knowledge?" That's where everyone just knows that such-and-such is true, or that so-and-so is a genious, or whatever, but then it turns out not to be true at all? Well, like many of you, I just "knew" that MIB is notified whenever a company turns someone down. Turns out, that's just "CK:"
An MIB Report does not indicate the amount of coverage applied for or if a policy was issued, declined or charged an extra premium. Over at Raising 4 Boys, host "Dad" presents this week's Carnival of Personal Finance. Each of the 38 posts is neatly summarized. I thought this post from Debt Free, on pre-paying one's mortgage, quite interesting. Dominick at Trader Knowledge has the 3rd Edition of the Cavalcade of Risk. He's done a fine job of organizing the posts, and he's included helpful notes about each one. As one who's always found the Worker's Compensation system to be mysterious yet unncessarily complicated, I found Jon Coppelman's post on workers comp and the Supreme Court to be quite fascinating. I am fortunate that Hank allows me to post here without censorship. After today, that may change. There is plenty that is wrong with the health care delivery system, and the risk management side, but all in all it works better than it should and much better than socialized systems in our country and others as well. Most of the complaints about health insurance can be summed up in the immortal words of Pogo. We, as consumers, are truly our own worse enemy. We fail to understand the dynamics of health care and health insurance pricing and then complain when we can’t get what we want. We make demands on health insurance that would, in other situations, be considered foolish and then complain that the price is too high. When it comes to health insurance, consumers want doctor visit insurance, prescription drug insurance, and yearly physical exam insurance. We have been conditioned to believe a doctor visit really only costs $20 and medicine is $30. We also want our annual exams covered under a copay, even though females are the only ones in the family who go regularly. We believe nothing bad will ever happen to us, but if it does we have comfort in knowing we only have to satisfy a $500 deductible. All of this luxury comes at a price. A price few can afford and even those who can afford it are unwilling to make the sacrifice. A family of four in Atlanta will pay about $1000 per month for the plan described above. For many, that is a house payment. That is $1000 per month for a plan that will rarely be used, even for minor ailments and will still cost you around $3,000 in out of pocket expenses on a major claim. That is $12,000 per year in premiums plus incidentals in a “good” year; over $15,000 in a bad year. Contrast that with a catastrophic plan that will discount your doctor visits by 40 – 50%, discount your prescription meds by around 30% and limit your out of pocket in a calendar year to $5,000 if you have a really bad year from a health standpoint. The premium for this plan is about $250 per month, or $3,000 per year. In a “good” year you save almost $9,000 and in a bad year you still save about $7,000. Now will someone please explain why most people would rather have the $12,000 plan over the $3,000 plan? From Blue Oregon we find this entry . . . This already exists in one form or another. HMO’s are limited by county or zip and can only serve a specific geographic area. Some states mandate community rating which accomplishes some of the same ideas. All those who apply for coverage within a defined community pay the same rate, regardless of age or health. This is a perfect description of community rating which never works. Why would a healthy 25 year old want to pay the same as a 55 year old with emphysema? Basically, this is the way the current Workers Comp system works . . . kind of. All workers in the state have the same benefits even though they are administered by different firms. Rates vary from employer to employer depending on payroll, industry, job classification and other factors. Of course WC is not 24 hour coverage but only addresses on the job injury. More than possible, it is a sure bet. And “slightly” is an understatement. Actually it does not address ANY of the factors that influence the cost of health insurance. The July 4th edition of the Carnival of The Capitalists is up, hosted by My Money Forest. With over 50 entries, you're sure to find (at least) one that piques your interest. As one who has always believed in treating my clients the way I'd like to be treated, this post at Trizle really hot the spot. 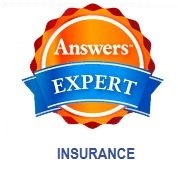 "I was very surprised with a little known fact concerning the Medical Insurance Board (MIB). Do consumers really understand the ramifications of their medical history in this system?" Apparently, my correspondent has had some recent troubles obtaining health insurance. I'm still not sure what, exactly, the missive's author wants from me; I replied, of course, and am waiting for more information. 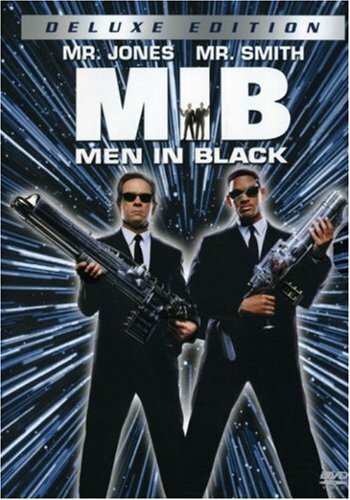 First, the MIB does not keep a copy of one's medical records. One doesn't really even need to read the FAQ on their website to know this; it just doesn't pass the "smell test." Think about it: even before the draconian privacy measures mandated by HIPAA (which, we'll grant, aren't exactly enthusiatically enforced), how would such an organization go about getting all the files from all the doc's that one has ever seen? And where in the Wide, Wide World of Sports would they keep them? Second, only folks who have applied for insurance (life or health) from one of the 600 companies who participate are even subject to its "review" (IIRC, there are something like 1,800 such carriers). And of these, the Bureau is informed regarding only those who have been rated or declined. Then, if such a person applies for another policy, with another participating carrier, will it even matter? Third, these notes are kept for a maximum of seven years, after which they are purged. So it's not "forever," anyway. It is true that most (if not all) life and health applications (and to be accurate, I'm lumping in Disability and Long Term Care policies under the general heading of Life and Health) include a question regarding previous insurance experiences. That is, they ask if one has ever been rated or declined for insurance. Some carriers give this question (and its implications) greater weight than others; conversely, some carriers are notoriously stringent in their underwriting process, and that has a certain significance, as well. The primary mission of the M.I.B. is "to detect and deter attempts by applicants of life, health, disability, or long-term insurance who would omit or misrepresent facts." This is actually a powerful tool for us consumers: fraud helps drive up the cost of insurance (as if it needed any help to get more expensive). By working to minimize it, organizations like the M.I.B. help to hold down those increases. While I take each email (and, for that matter, each comment) seriously, I think that sometimes folks let their imaginations run a bit wild. It may well be that this person has had a bad experience, and I will try my best to help resolve it. But the M.I.B. isn't the enemy. When Dr Crippen was a little boy, medically speaking, the treatment of high blood pressure was straightforward. Relatively. You started with either a beta blocker or a mild diuretic (depending on age) and if you needed more, you added a vasodilator. Was this all wrong? What has changed? I too have wondered the same. I also maintain we have become a society that is over-reliant on meds that do little more than address symptoms and do nothing to treat the underlying problem. The first commonly available beta blocker was propranolol. Note the “olol” ending. Now we have atenolol, metoprolol, bisoprolol, sotalol and so on. Cimetidine was a new drug for ulcer treatment; then along came ranitidine with a huge advertising budget and supplanted cimetidine. Omeprazole, another “ulcer drug”, was soon joined by lansoprazole and esomeprazole. The original drugs, such as propranolol, are long out of patent. Anyone can make them and anyone does. They cost a few pence a month. The profit has gone for Big Pharma. There is nothing to be gained from flying doctors to Acapulco to discuss propranolol. I have heard similar complaints about sulfa drugs. At one time they were widely used to treat infection. Once antibiotics came along the sulfa drugs were no longer used. Now we have new, antibiotic-resistant strains. Should we return to some of the "old" remedies to combat new illness? Recently, my mother was hospitalized for a week, the victim of a prolonged headache that just wouldn’t quit. Turned out to be an inflammation of an artery, and not (as feared) something worse, such as a tumor. In many such cases, folks start thinking about their own (and/or their parents’) long-term prospects, and the thought of Long Term Care eventually surfaces. Thankfully, Mom’s condition is (relatively) easy to treat, and she should be fine soon. ‘Course, I am concerned that she found the hospital food superior to her own home cookin’, but that’s a discussion for another day. All of this by way of introduction to an interesting, if disheartening, study undertaken by the John Hancock (okay, you purists will have noted that I used “the,” a throwback to “the old days.” I also put an “e” at the end of envelope, and spell dilemna with an “n.”), which shows a startling disconnect between what we know to be true, and how we choose to deal with the truth. To wit: even though we know about the graying of our population, and we know that health care costs keep escalating, we choose to ignore the connection. According to the JH study “Americans are less worried today than they were roughly a decade ago about needing and paying for LTC.” This is stupid. We know that gas prices have risen, and we grumble about those. We know that mortgage rates are on the rise, and we worry about that. But we can choose a smaller house, or a more fuel-efficient vehicle; what is the alternative to living longer? Here's what's weird: while over half of those surveyed were concerned about the cost of care, that's still a 12 point drop from folks 10 years ago. On top of that, compared with the '97 study, fewer people were concerned that they'd even need long term care. OTOH, almost 2/3 of the respondents thought they'd make it to (at least) 85, and that the cost of LTC would have a substantial (and negative) impact on the post-retirement financial position. This concern, by the way, is an increase over the old study. And so, we have a population that is ageing, that believes that it will get even older, that believes that there is a greater likelihood that they'll need more (and more expensive) care, and yet aren't really worried all that much about it. I have a picture in mind. Something else I found interesting is that, after a decade of sales pitches, advertisements, promotions, news articles and studies, most of those surveyed had no more knowledge about the nature and cost of long term care than their counterparts did 10 years ago. That’s a bit scary, no?